Magic Columns that help automate data entry for you. These special columns can be added from the same menu as a Custom Column, but they make it easier for you to track data as the system records it for you! The information in Magic Columns is non-editable and is automatically generated by Streak. If you remove a Magic Column you will not lose the data stored in it. You create a new Column by clicking one of the + buttons on the far right-hand side of the Pipeline, or right-clicking on the caret icon for an existing Column header and selecting Insert Column from the Column menu. Creation Data Columns - acts as a reference for who created a Box, how much time the Box has spent in the Pipeline and the Box's recent update activity. Freshness Column - an indicator of how long ago a Box was updated, relative to the other Boxes in your Pipeline. Summary Column - the condensed form of email, file, comment, Task, Call Log, and Meeting Notes Count. Extremely helpful to see the Box's activity at a glance. 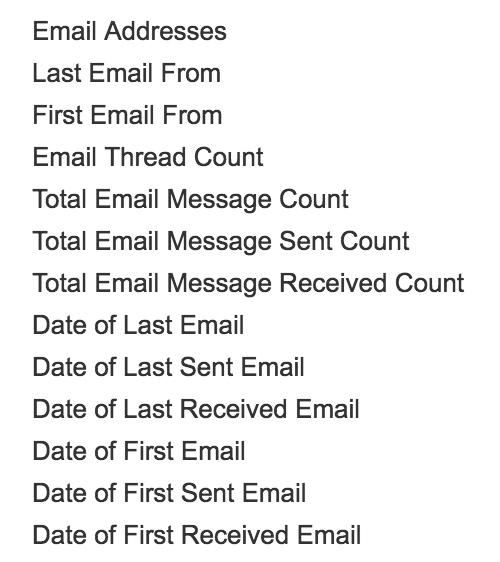 Email Data Columns - information is extracted from the emails add to the Box to surface email correspondence dates, volume, and included email addresses. Stage Data Columns - provides information on which Boxes are progressing along the Pipeline. 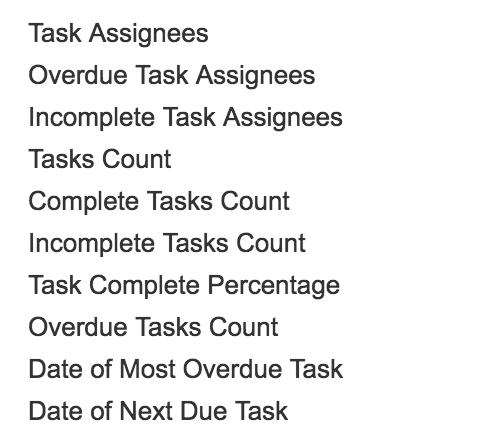 Task Data Columns - surfaces details on a Box's Tasks such as Tasks counts, Task assignees, and Task due dates. Comments Count Column - an indicator of the number of Comments added to a Box from Team collaborators. Contact Data Column - identifies the last contact type between Email, Call, or Meeting. 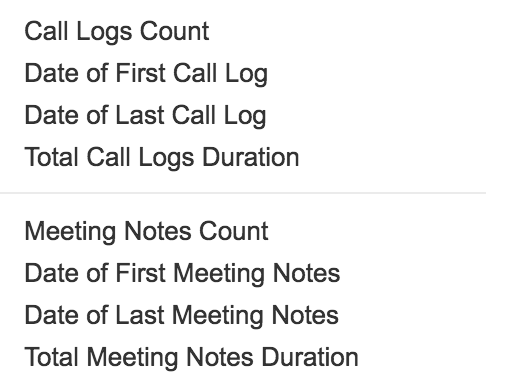 Call Log / Meeting Note Data Column - surfaces details on a Box's Call Logs and Meeting Notes such as total count and duration. Follower Count Column - the number of collaborators following the Box. Distinguishes projects multiple people are working on. File Count Column - useful for finding files added to your Box. ID Column - a unique ID generated for that particular Box. Useful for when you need automatic unique values to distinguish Boxes.